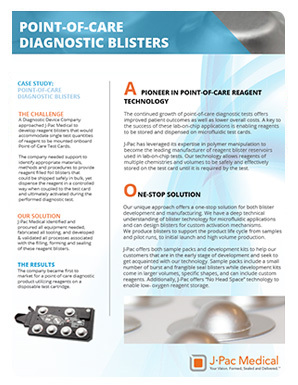 A Diagnostic Device Company approached J-Pac Medical to develop reagent blisters that would accommodate single test quantities of reagent to be mounted onboard Point-of-Care Test Cards. The company needed support to identify appropriate materials, methods and procedures to provide reagent filled foil blisters that could be shipped safely in bulk, yet dispense the reagent in a controlled way when coupled to the test card and ultimately activated during the performed diagnostic test. 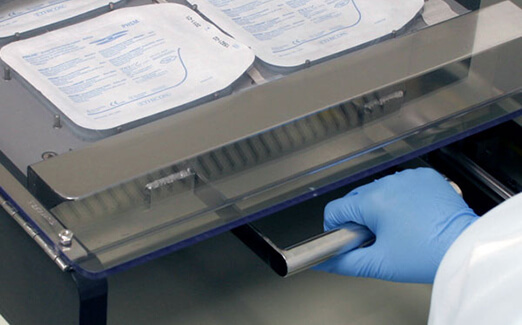 J-Pac Medical identified and procured all equipment needed, fabricated all tooling, and developed & validated all processes associated with the filling, forming and sealing of these reagent blisters. 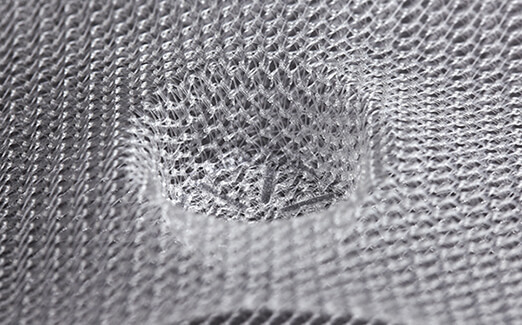 The company became first to market for a point-of-care diagnostic product utilizing reagents on a disposable test cartridge.